Six Sigma benefits are derived from a series of projects that require managing: big projects, little projects, projects within a single department, projects that cross departments, projects inside companies, and projects that even cross company boundaries. The skills and tools required to manage a Six Sigma project are similar to those required to manage other types of projects; you need to leverage technology for managing the complexity of people, change, and information. Ideation Short for “idea-creation” — to foster and capture ideas for potential Six Sigma projects. Definition Establish the project scope, write a problem and objective statement, set a schedule, and assign initial team members. Selection Establish priorities for projects, manage the queue of projects, and launch projects. Tracking Track and manage project progress. Identify and manage variance to plan. Ensure deliverables to the established objectives and schedule. Reporting Communicate the status and results of the project — to the project team members, business owners, Six Sigma Champions, executives, and other constituents. Tools for project ideation let you capture the essence of the idea, along with supporting information, in a central database to evaluate and consider. Project definition is the practice of transforming a practical business problem into a Six Sigma project. The result is a well-defined problem statement and a well-scoped set of objectives, with approvals from those involved in or affected by the project. Fifty percent of a project’s success is based on how well the project is defined. Behind the magic trio — problem statement, objective statement, and approvals — are several supporting elements that make up a sound project definition. Every project definition should contain a concise and accurate description for each of the elements. Managers are responsible for defining projects. But managers shouldn’t make decisions without the help of the Six Sigma practitioners. The best projects are defined when joint effort occurs between the managers and the Six Sigma practitioners. To define a project, use a project definition worksheet to break down the many elements of a project into easy-to-handle pieces. Although it may sound easy, you have to put a lot of information and work into defining projects. You must account for the constraints and risk factors, too. Project selection is a delicate act of evaluation, alignment, and prioritization. Consider the project in terms of hard dollar value or soft contribution. No more than 25 percent of projects should be soft savings projects. Fit the project profile to the overall business to ensure its efforts and contributions are placed strategically. Consider the learning value and the contributions to generating momentum toward the total Six Sigma improvement initiative. In many cases, the project represents a part of a larger opportunity, or it should be realigned to better fit the business strategy. In such cases, recast the project within the new context. In this way, you ensure an effective alignment of Six Sigma with the needs of the business. As a result of your evaluation and alignment, you’re in position to assign a level of priority to the project from zero to ten. Because a Six Sigma initiative is a project incubator, defining and applying a prioritization scheme is important. Your ultimate goal is to first work on projects that have the largest impact on the organization, either strategically or financially, with the highest probability of success and with the lowest amount of resources needed. Use a simple matrix to compare these parameters and help prioritize projects. Project plans are great. Then the project begins and everything changes. You can track and manage the project with project management tools. These tools help you follow progress and report on status; make changes to resources, budgets, and schedules; and redefine work and deliverables. The tools can also manage changes to the plan and compare the real results, called actuals, to the original baseline to produce variance-to-plan information. Word processor: A tool like Microsoft Word captures all textual information and stores it in files. You can build templates to help ensure information is complete and consistent across projects. Spreadsheet: A general-purpose tool like Microsoft Excel can help you track project costs and returns. 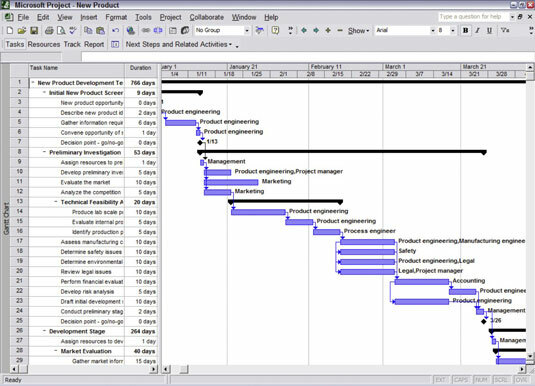 Scheduler: Dozens and dozens — hundreds — of project scheduling tools are on the market. The most commonly used basic project planning and tracking tool is Microsoft Project. Integrated enterprise-class tools like Instantis are more powerful and can perform project scheduling for Six Sigma–specific projects from an Internet-based architecture. 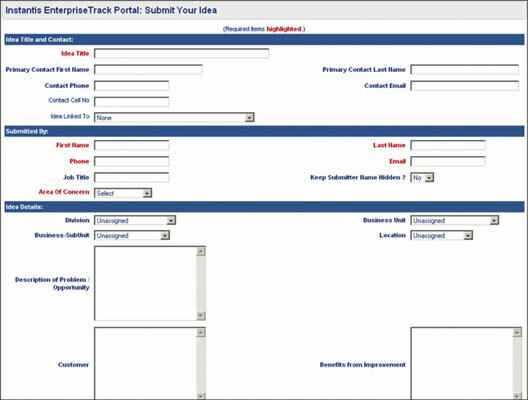 Reporting: Most project planning and scheduling tools typically generate project status reports directly. Document management: Often overlooked, but still critically important, are the tools for managing the plethora of project documentation. Document management is the practice of securing a set of data files in a repository with strict access and revision controls. These systems are invaluable for controlling updates to official or reference documentation. First review this information, and, when approved, set down the baseline plan against which everyone works. Review any subsequent changes to the plan with the Champion and other stakeholders to determine whether the project should continue with or without the changes, be placed on hold, or eliminated.